With instant coupon at Zonealarm.com! 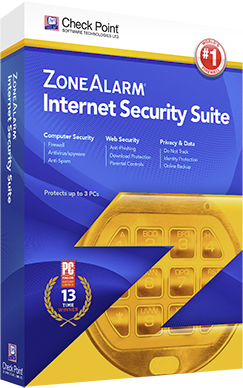 You won’t find a better deal than this on the new Internet Security 2016 from ZoneAlarm. We just got our hands on this instant coupon code that saves you 55% instantly on a full 12 months of protection. So that means you pay only $29.95 vs. the list price of $79.95. Or save a little bit more on your order by selected the extra year of protection (buying two years upfront always much cheaper than buying just the one). So how do instant coupons work? Just follow the above link and you’ll be taken to the sale page in the ZoneAlarm store with the discount applied for you. That means no codes, rebates, or extra hoops to jump through to get the best price. 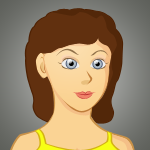 You will also have the option to upgrade to Extrem Security for just $10.00 more (also 55% off the retail price). This offer is only available on orders made at the official zonealarm.com store. Instant deal expires on April 15, 2019. Upgrade to Extreme Security for $10.00 more. A step up from Internet Security and one of ZoneAlarm’s most powerful computer protection versions is Extreme Security 2016. And now with this deal you can upgrade to 12-months of Extreme Security 2016 for only $10.00 more than you would pay for Internet Security 2016 (that’s for the entire year!). With the upgrade you are getting two important features. The first is PC Tune-up software that helps optimize your PC for faster performance (very helpful if your older laptop has slowed down since you first brought it home). The second is their proprietary jamming feature that prevents identity thieves from catching your passwords (by way of screenshots) and your keystrokes. See ZoneAlarm.com for offer details. Try Internet Security 2016 for free. Are you considering switching from another Internet Security software program that’s just expired? Haven’t tried ZoneAlarm before? Then head on over to zonealarm.com to download any flavor of their computer security software. You’ll have a month to play with the latest features and compare them to one of the other popular software programs out there like Norton or McAfee. Once the trial period is up, you can come back to us here at Software Voucher to find one of the latest coupon codes to buy a licence key or simply uninstall the software from your hard drive. This offer is only open to first time customers who have never installed ZoneAlarm on their PC before. ZoneAlarm 2017 Release Date Alerts!